If you are a mobile freakier, thenwe have something extremely intriguing news for you. Samsung is the synonym of innovation and here they are coming with another ground-breaking and whole new device category. Yes, I am discussing about the Samsung Foldable Phone. 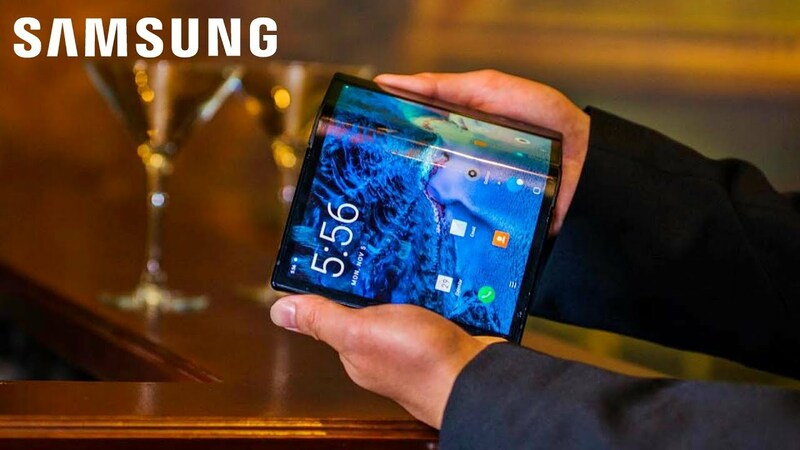 Samsung announced the phone in San Francisco in the 20 February 2019 andever since Samsung has announced a foldable phone, it has turned into a hot topic in the market. With this foldable feature, Samsung raised the standard of the smart phones. This phone will be released in April 26. Now let’s come to know that what exactly a Samsung foldable phone. Samsung present an animated video where they described that how the foldable feature will work. According to the video, there is a slight piece of glass that you can crease into a portable handset and then you can turn it into the tablet as well. You can also check out the >video on YouTube. It can work like a traditional phone with the 4.6 inches OLED display that can morph or fold into a mini tablet with the massive 7.3 inches screen. Samsung foldable is the most versatile and responsive phone ever that has never before seen features. One side its portable 4.6 inches screen makes it the handy handset that you can run with your one hand but on the other note, its massive screen gives you immersive visuals for next generation screen. The most incredible feature of this phone is its Android 9.0 and spectacular user interface with one UI which means you can run three different applications at the same time. In short you can get incredible must screen experience with this superb innovation. When we talk about the design, then it will surely give you a WOW experience. There are hundreds of locking gears are hidden that gives this phone a seamless and elegant look. Furthermore, it holds 12 Gigabyte RAM and Octa-core Qualcomm Snapdragon 855 processor along with the 512 GB memory that makes it the most powerful Smartphone you can ever have. Last but not the least, Samsung foldable phone has six cameras. Yes you heard right. This phone has 6 six cameras to give you the most miraculous and HD photos so that you can capture each and every moment from any angle. It has three cameras on the back, two inside and the one front camera. Now let’s just wait for its arrival in the market and will make sure to give you its review. Keep in touch with us. We will come with the more information of the Samsung foldable phones. So stay tuned!